Award recipients at the 2018 Meigs County Chamber of Commerce Awards Gala included, from left, Jack Lemley and Le’Anna Davis from Meigs EMS, Bruce Wolfe and Dan Dunham from Wolfe Mountain Entertainment, Chamber ambassadors Jennifer Doczi and Heather Evans, Brandon and Rana Bartee of Bartee Photography, and Tim and Martie Baum of Baum Lumber. Chamber Executive Director Shelly Combs is pictured with Meigs County Economic Development Director, and keynote speaker, Perry Varnadoe. 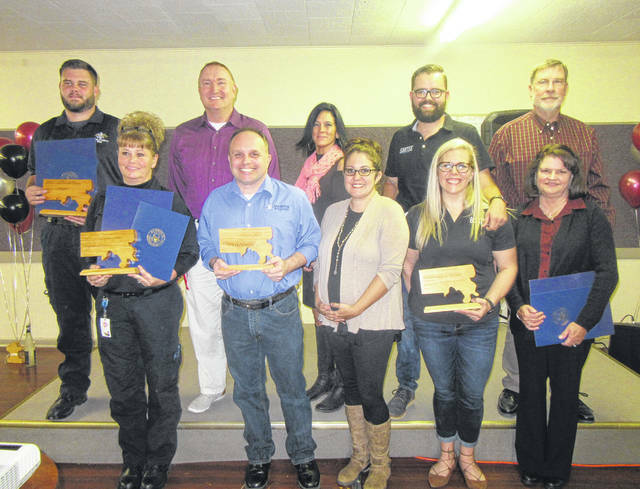 POMEROY — With the message to be “obnoxiously proud” of Meigs County, the Meigs County Chamber of Commerce presented awards to businesses and individuals as part of the annual awards gala on Thursday evening. 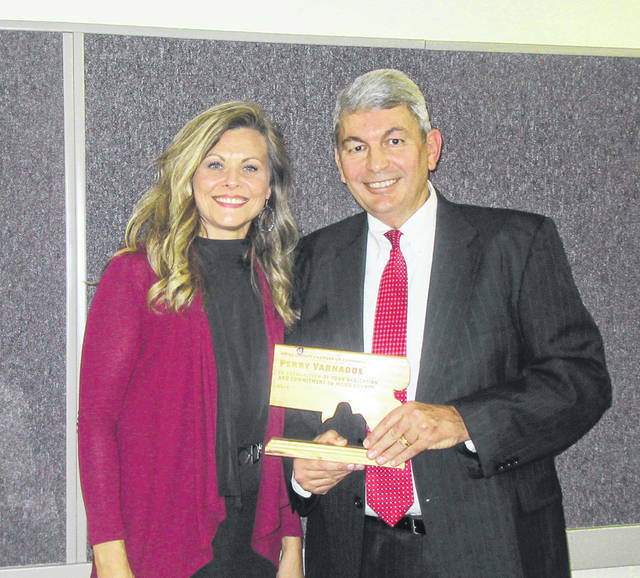 Meigs County Economic Development Director Perry Varnadoe served as the keynote speaker, before Chamber Executive Director Shelly Combs presented the awards. The Community Pillar Award recognizes an individual who has made an “outstanding contribution” to the social, cultural or economic well-being of Meigs County; one who is consistently responsive to community needs and delivers outstanding services to its beneficiaries. “He is one who demonstrates hard work and leadership, and truly puts his heart into his Meigs County home. 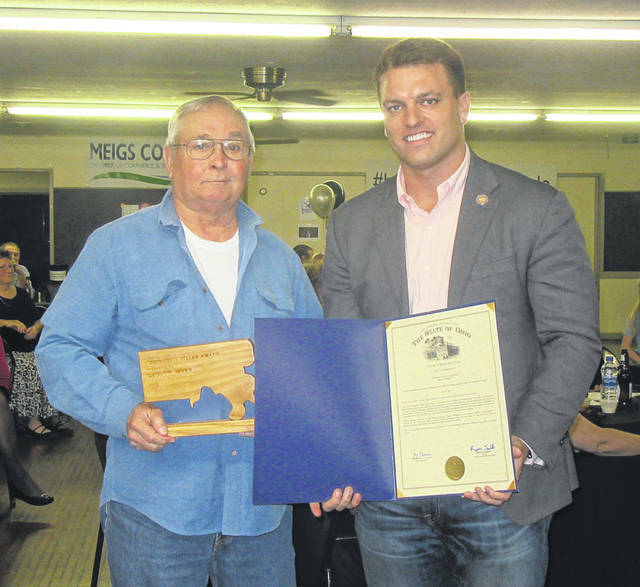 Recognizing that dedication, this award is a recognition of not just all of his work within his community, but for all that he compassionately does, as dedicated Meigs County citizen,” said Combs. “Mayor Scott Hill, we believe that you communicate a well-articulated vision with a mission in support of a strong and viable community in the Village of Racine, and for these reasons, you have been selected as the 2018 Meigs County Community Pillar,” said Combs. Hill began serving on Racine Village Council in 1993 before beginning as mayor in 1997. Hill appeared by video feed from a pre-scheduled family trip to accept the award. “This award is not really about me,” said Hill, adding that it is “we” that make things possible. From the village staff to his family and the groups and organizations in the village, Hill added that they all help to make things possible. Dale Hart accepted the award for Hill at the Gala. 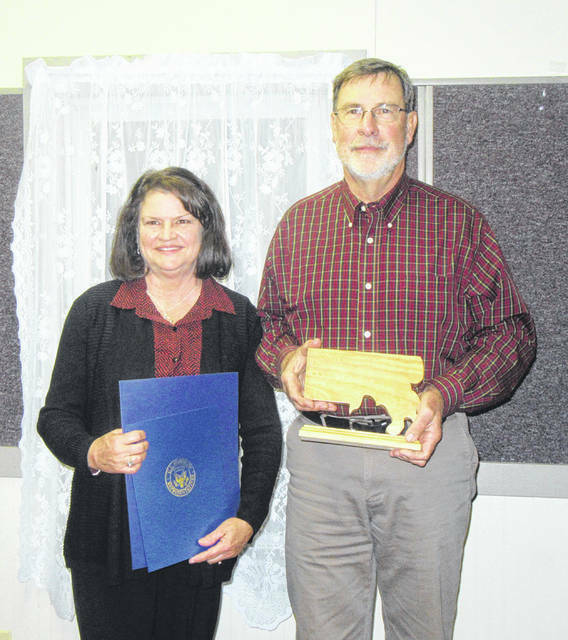 The Meigs County Citizen of the Year Award was a new award established for 2018. “This award is in recognition of not just your hard work and insight for those around you, but for all that you compassionately do as dedicated Meigs County citizens,” said Combs. Davis explained that in the face of an overdose or other drug related situations many are left asking what to do and where to go to find help. Out of that need came the resource packets that Davis and Lemley have put together to provide that information. The goal is to make sure families do not feel that they are alone, and make sure they know there are people out there to help. The Chamber Ambassador program is for persons who may not have the time to commit as a board member, but still wish to promote Meigs County, the Chamber and its mission. “Our ambassadors work side by side with our board to ensure our events go smoothly, and at all times step up to act as a liaison in our county. 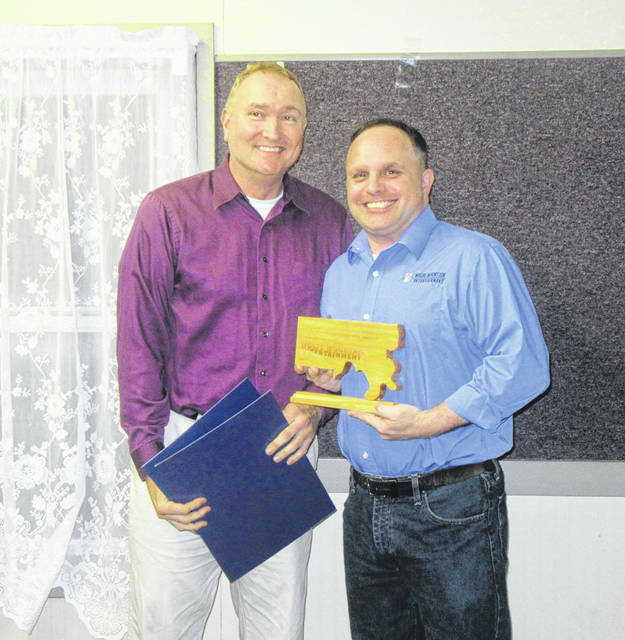 This award is presented to those that have shown dedicated commitment to the chamber, going above and beyond to serve as a representative, while continuing to promote the Meigs Chamber and its mission,” said Combs. “We believe this business is one that encouraged economic growth and/or employment and is deemed to be a valued asset within our community. Employing roughly 50 people, their success is also a success for out Meigs County home,” said Combs. 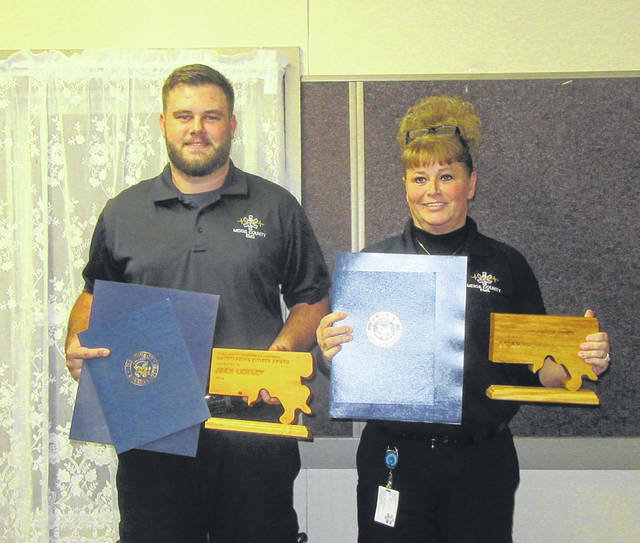 “Recognizing the dedication that two generations of their families have put into Meigs County, this award is a recognition of that hard work,” added Combs. The Powells were unable to attend to accept the award. The Entrepreneur of the Year award is presented to a business that has demonstrated growth and/or innovation within their respective industry, and one deemed to be a valued asset within the community in which they serve. The Bartees have gone from renting one section of a building in 2013 to owning and renovating two storefronts in Pomeroy and employing six people. “Recognizing the dedication that you both put into all that you do, this award is a recognition of not just your talent and sincerity, but all that you do to meet the needs of Meigs County, not just in business, but as dedicated and passionate volunteers,” said Combs. “‘Give more than you take’ simply means that in your life, you should always strive to return any kindness or opportunity that you are given with even more than you received. To try to always be on the ‘giving end’ of the bargain,” said Bartee. “If your community has been so gracious as to believe in you before you deserved it, support you when you most needed it, and give you the opportunity to create something far bigger and better than you ever imagined — then you live your life striving to be such a valuable asset to that community that they are happy, and even proud to have supported you in the first place,” said Bartee. 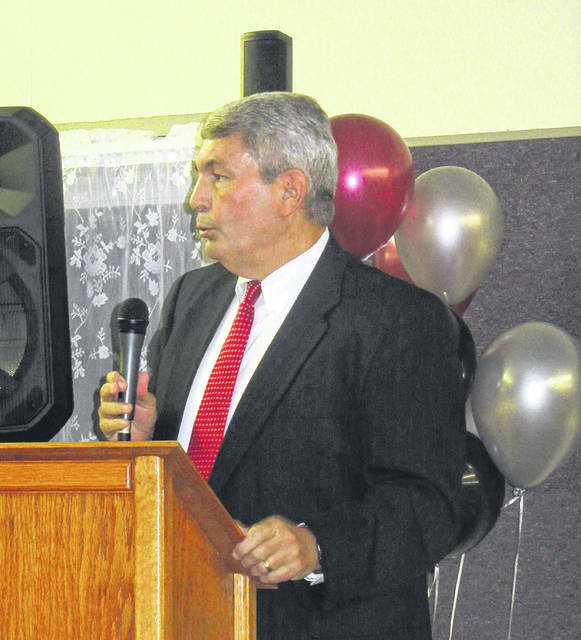 He noted that it is not always easy to “give more” in the Meigs County community. 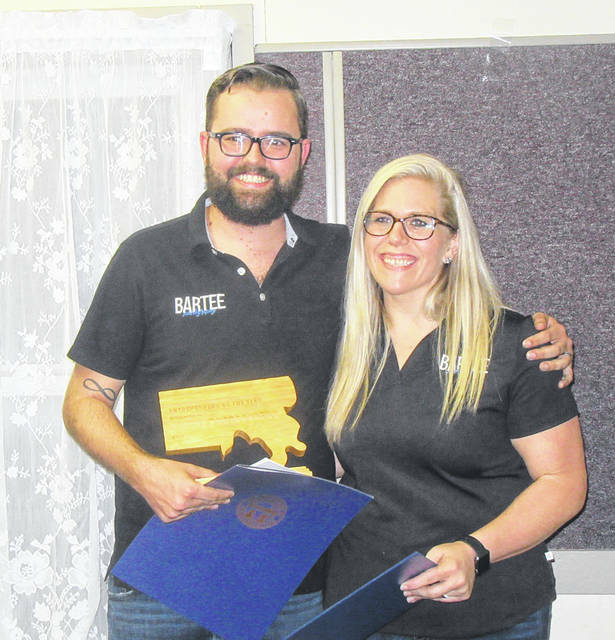 “But I have to tell you, that living in a community like this one makes it very difficult to ‘Give More’, because no matter what we do, you guys always give more back to us than we ever thought possible,” said Bartee. Giving back is the reason that the business takes part in things such as Treat Street, trying to give back. “When we first opened our business in Pomeroy, we had a lot of people tell us that it was a terrible idea and that we would be closed within a year. But we also had a lot of people, many of whom are here in this room tonight encourage us that we could do it. And many of you even went out of your way to help us achieve our goals. As of this year, I am proud to say that the naysayers were wrong and you were right,” added Bartee. Bartee Photography now photographs around 10,000 students at 23 different schools, while continuing with senior portraits, weddings, workshops and other projects. The Best First Impression Award is presented to a business that consistently exemplifies a welcome atmosphere, including outer appearance as well as the reception from business staff. This business is one deemed to be a valued asset within the community in which they serve. Opening in June 2015, Wolfe Mountain Entertainment was the culmination of a life-long dream. Wolfe Mountain Entertainment is owned and operated by Bruce Wolfe and Dan Dunham. “For Meigs County, they weren’t just bringing new business services to our area, they were saving a piece of our history. Knowing all of the hurdles that the renovations would present with this investment, they pushed forward with their vision, and possibly pushed the limits of exhaustion on more than one occasion,” said Combs. “Recognizing the dedication that you both put into all that you do, this award is a recognition of not just your talent and sincerity, but all that you have invested in your business. We believe you have saved a piece of Meigs County’s history with your endless renovation efforts and your combined passion for your community has not been overlooked,” said Combs. Wolfe stated that he grew up in the area and wanted to create something entertainment related in Meigs County. He went to college, but left, going to an audition at Walt Disney World. Getting the job, Wolfe said he thought he would be there a year before returning to Ohio University. Ultimately, he retired from Disney 24 years later. It was on a visit home to Meigs County that he saw vehicles parked in front of the old Pomeroy High School and inquired about what was to be done with the building. Retiring from Disney and cashing in their retirement, Wolfe and Dunham, who had met at Disney, purchased the building and began renovations. Wolfe said he was fortunate to save the building which has many memories for those in the area, including himself as he learned to dance in the building as a kid. Wolfe Mountain just completed its fourth annual Haunted House with a total of 1,056 visitors this year. “This award is offered to a business who has a proven commitment, over the last 63 years, and now, nearing its third generation to begin management of the company. This is one who has demonstrated sound business practices and employee relations, along with an incredibly strong dedication to their community. This is a business deemed to be a valued asset within the community in which they serve,” said Combs, presenting the final award of the night. “This business was born out of need, for Delmar Baum to supply his own construction business. So, in 1974, with just two employees the business was founded. Today, they have expanded several times, and have grown to 22 employees. They began with just a few products for sale, and today literally thousands of items are available through their store,” said Combs of Baum Lumber. Tim Baum recalled how the business has changed, with the electronic age making it easier for business than to paper bills of years ago. Baum thanked his family, without whom the business would not be possible. “It takes everybody,” said Baum, noting that his wife had retired after 35 years of teaching, and after a few years of relaxing is working in the business afer the recent purchase of the market/gas station in Tuppers Plains. The family business will continue with the next generation, as well the family’s presence in the county. Baum stated that his two sons went and earned their college degrees, and came home to Meigs County. Devon will take over the family business when Tim Baum retires, while Derek will become the general manager of the Tuppers Plains-Chester Water District upon the retirement of Donald Poole. Baum thanked the employees of the business for their work over the years, with many of the longtime employees in attendance for the Gala. The event was held at Kountry Resort Campground, with the meal catered by Close to Home Catering and served by the Eastern High School Junior Class. More on the Chamber Gala, including the information presented by keynote speaker Perry Varnadoe, will appear in an upcoming edition of The Daily Sentinel. 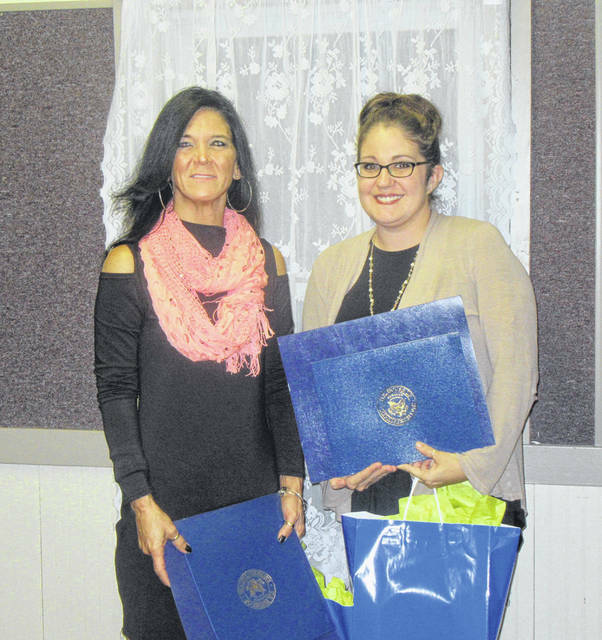 https://www.mydailysentinel.com/wp-content/uploads/sites/14/2018/11/web1_11.4-Chamber-1_ne20181121538425.jpgAward recipients at the 2018 Meigs County Chamber of Commerce Awards Gala included, from left, Jack Lemley and Le’Anna Davis from Meigs EMS, Bruce Wolfe and Dan Dunham from Wolfe Mountain Entertainment, Chamber ambassadors Jennifer Doczi and Heather Evans, Brandon and Rana Bartee of Bartee Photography, and Tim and Martie Baum of Baum Lumber. https://www.mydailysentinel.com/wp-content/uploads/sites/14/2018/11/web1_11.4-Chamber-2_ne201811215312788.jpgChamber Executive Director Shelly Combs is pictured with Meigs County Economic Development Director, and keynote speaker, Perry Varnadoe.